A major deal between Stockholm-based Swedish Match, parent company of General Cigar (Macanudo, Punch, La Gloria Cubana, Hoyo de Monterrey, Partagas, Cohiba), and the Denmark-based Scandinavian Tobacco Group (CAO, Toraño, Henri Wintermans) will merge their many well-known brands under one entity. The two companies have signed a letter of intent to create a joint venture combining their handmade cigar operations with STG’s entire tobacco operations. Swedish Match’s machine-made cigars (which include White Owl and Garcia y Vega) are not part of the deal, but the companys’s online and mail-order retailer Cigars International reportedly is. The joint venture will be controlled by STG, with Swedish Match owning 49 percent. The deal could be finalized as early as this summer. As we’ve written before, consolidation is an ongoing theme in the industry and this deal continues the trend. Among other things, consolidation helps cigar companies overcome the increasingly challenging tax and regulatory burdens through economies of scale. The key part of this mega-merger is that it sets up the newly created joint venture to challenge Altadis. The deal means Altadis finally has a rival in the premium cigar category that can match it for size, volume, and marketing budget. The new combined operations may also lead to some cost savings, as the sales representatives and distribution channels will likely be dovetailed. Since the companies were already major tobacco buyers, their access to the best tobacco is unlikely to change significantly. Fans of cigars made by both groups will be pleased to know that the blends and brands are also unlikely to change anytime soon. 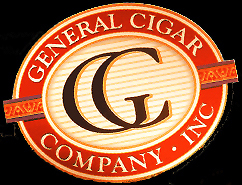 General Cigar recently closed its Villazon factory in Honduras (shifting production to Danlí) so it’s doubtful that STG will be shifting any of its production to those facilities. But the fact that CAO and Toraño now will have access to General Cigar’s Dominican factories could be important going forward. Thanks for keeping us updated with this important news. StogieGuys.com always does a great job of staying on top of the industry. In your analysis, though, you only seem to list the positive impacts of industry consolidation. While I don't disagree with your assessment, I was wondering if you could also discuss some of the potentially negative impacts? Perhaps how fewer and fewer entities are producing a greater percentage of cigars and what that means for competition and quality? The issue of consolidation is an interesting one. I certainly think there would be a point where too much consolidation would stifle competition, but I don't think we're there yet. STG and Swedish Match have merged but they are still well less than 50 percent of the industry (probably 30-35 percent market share, and that's just manufacturing not retail) so I think consumers will benefit from economies of scale, but not lose much, because they are in no where near a dominant/monopoly position. I would add that for every monolithic General or Altadis, there are dozens of smaller boutique and/or specialized brands like Tatuaje, Illusione, La Flor Dominicana, and Drew Estate. And there are even the larger independent brands like Rocky Patel. At this point I don't think the industry will suffer from lack of competition. On the other hand, if some of those companies (or others like them) start getting absorbed into the big boys, all bets are off.